I created an android project in IntelliJ. 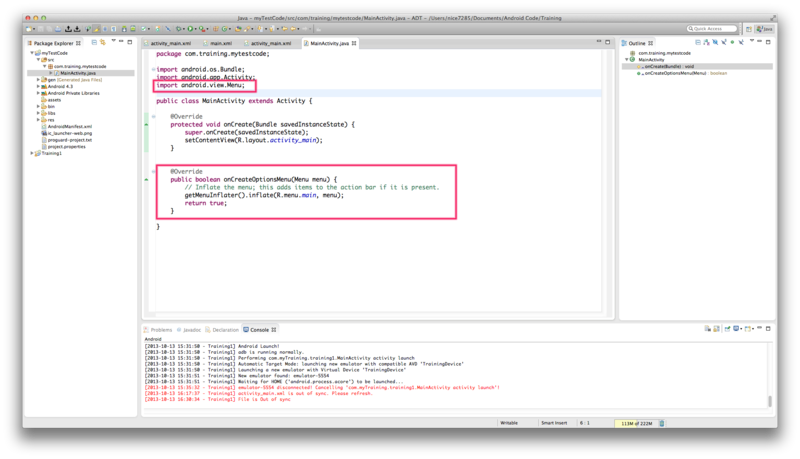 But MainActivity.java code little bit differences between in Eclipse and in IntelliJ IDEA. Why and How to fix IntelliJ IDEA? Following is in Eclipse and red boxes are differences. Following is in Intellij IDEA. There's no code of above red boxes.